HARTWICK - Robert Edward Dorsey, age 66, died early Thursday morning, July 25, 2013, at his home in Hartwick. He was born April 16, 1947, in Jersey City, New Jersey, a son of Bernard and Ruth (Hannigan) Dorsey. Raised and educated in West New York, New Jersey, Bob attended Memorial High School. Soon after leaving school, he was drafted into the United States Army and was formally inducted August 16, 1965. He served as a Medic during the Vietnam War until receiving his Honorable Discharge in August 1968. Upon his return to New Jersey, Bob was employed at various jobs, including working for Westinghouse Elevator and I. Weiss & Sons, Inc. in Manhattan. He also attended Jersey City State College. He later worked as an electrician for the fire and police departments and at one time served as Union President of the Communications Workers of America (C.W.A.) Local 1045 in West New York, New Jersey. His last job, from which he retired, was as a human resource director for the Town of West New York, New Jersey. Even though he no longer lived in town his heart was still in West New York. During his employment with the town he continually strived to insure that residents and employees were treated with respect and fairness. He was always trying to improve the quality of life for the residents and employees. For the past 17 years, Bob has been a resident of Hartwick, and faithfully served as a volunteer with the Food Bank in Hartwick and at The Lord's Table at St. James Church in Oneonta. Bob will be greatly missed by his wife of 34 years, the former Barbara Stoldt, whom he married on April 7, 1979, in Union City, New Jersey. His passing is further felt by their two children: one son, Brayden Dorsey and his wife, Danielle, and their son, Lucian; and one daughter Colleen Dorsey, all of Oneonta. Bob will be remembered for all the nice things he did for others and his sense of humor. He was devoted to his family, making their welfare his top priority. Bob is also survived by one brother, Bernard Dorsey and his wife, Patricia, of Weehawken, New Jersey; three nephews, Bernie Jeff, Brian and Robert; and two nieces, Suzanne and Darlene. He was preceded in death by his parents, as well as his two sisters, Patricia Menard and Delores Burman. Friends may call and pay their respects at the Connell, Dow & Deysenroth Funeral Home in Cooperstown from 1-3 p.m. on Wednesday, July 31, 2013. At the conclusion of the visitation on Wednesday afternoon, a service will be offered at 3 p.m. at the funeral home, with Deacon Randy Velez, officiating. Immediately following the funeral service, Military Honors will be accorded by members of the Cooperstown Veterans Club and the New York State Military Forces Honor Guard. LAURENS - Nelda Rudiger Jacobson, age 98, died late Wednesday night, July 24, 2013, in the Health Pavilion at The Masonic Care Community of New York in Utica. She was born January 28, 1915, in Syracuse, a daughter of William and Bertha Kate (Griffing) Rudiger. Nelda graduated from Normal School in Syracuse and began her career as a teacher in a one room schoolhouse in Lentsville in 1936. When the school closed she taught sixth grade in Hartwick, staying until 1945 when she chose to stay home with her family for a few years. In January 1948 she began teaching sixth grade in Laurens Central School. Shortly after she began teaching in Laurens, the State of New York introduced an initiative for teachers to further their education, so she and three other elementary teachers from Laurens attended classes at the State University College of Education in Oneonta and she ultimately earned her Bachelor's degree. After 29 years of service to the children of Laurens Central School, she retired from there in 1977. An active member of her community, Nelda served at one time as a 4-H Club leader, was a member of the Rebekah Lodge in Hartwick, and was a member and Past Worthy Matron of the Laurens Chapter No. 518, Order of the Eastern Star. She was also an active member and past president of the Otsego County Women's Republican Club, the National Society Daughters of the American Revolution and Delta Kappa Gamma, an honor society for women educators. A faithful Christian, Nelda first held membership with the Hartwick Christian Church and later became a member of the Laurens Presbyterian Church. Nelda is survived by her children, C. William Jacobson of Milford, Arthur M. Jacobson of Greenville and Judith Jacobson Anderson of North Providence, RI; grandchildren and great grandchildren; and nieces and nephews. She was preceded in death in 1989 by her husband, Melvin G. Jacobson, whom she married on August 6, 1938, in a ceremony at the Geddes Congregational Church in Syracuse. Friends may call and pay their respects at the Connell, Dow & Deysenroth Funeral Home, 82 Chestnut Street, Cooperstown from 12 Noon until 1:30 pm on Tuesday, July 30, 2013 when her family will be in attendance. At the conclusion of the visitation on Tuesday afternoon a funeral service will be offered at 1:30 pm at the funeral home, with the Rev. George Gotman, officiating. Interment will follow in Hartwick Cemetery. COOPERSTOWN - Elmer Sylvester Fenstemacher, formerly of Cooperstown, died unexpectedly early Wednesday morning, July 24, 2013, at his residence in Wiley Hall at The Masonic Care Community of New York in Utica. He was 92. Born August 12, 1920, in Williamsport, Pennsylvania, Elmer was a son of Leon and Margaret (Rosina) Fenstemacher. On August 13, 1942, he enlisted in the United States Coast Guard. He received training on Long Island, as well as in Florida and Virginia, and at one point was stationed at Greens Ledge Lighthouse located on Long Island Sound near Norwalk, CT. He received his honorable discharge on January 2, 1945. For many years, Elmer was employed by IBM in Endicott, where he worked as a plating technician. After living for a time in Arizona, Elmer and his wife, Ruth, moved back East in 1995 and settled in the Cooper Lane Apartments in Cooperstown. In 2006, they moved to The Masonic Care Community of New York in Utica. A member of the Masonic Fraternity for 63 years, Elmer was Raised in Vestal Lodge No. 1144, Free and Accepted Masons in 1950, and served the Lodge at one time as Worshipful Master. After moving to Cooperstown, he began visiting Otsego Lodge No. 138, F. & A.M. and formally affiliated with them on February 3, 1998. Elmer was also a member of Otsego Chapter No. 26, Royal Arch Masons in Cooperstown, and Kalurah Shrine, Ancient Arabic Order of the Nobles of the Mystic Shrine (A.A.O.N.M.S) in Endicott. He and his wife were currently members of the First Baptist Church of Cooperstown. Elmer is survived by his wife, Ruth, who resides in the Health Pavilion at The Masonic Care Community of New York in Utica; two sons, Keith A. Fenstemacher and his wife, Cara, of New Hartford, and Eric L. Fenstemacher of New Berlin; and 2 granddaughters, Corey Fenstemacher-Schruntek of Brooklyn and Jessica Fenstemacher of Chicago, Illinois. A Funeral Service, including the Masonic Memorial Service, will be offered at 10 a.m. on Monday, July 29, 2013, in the Daniel D. Tompkins Memorial Chapel at the Masonic Care Community of New York, 2150 Bleecker Street, Utica, with Pastor David Zoeckler officiating. Interment with Military Honors will be later the same day in the Gerald B.H. Solomon Saratoga National Cemetery in Schuylerville. The Fenstemacher family expresses their sincere appreciation to the caring staff at Wiley Hall. To this end, they respectfully request that, in lieu of flowers, expressions of sympathy in the form of memorial gifts be made to the Masonic Care Community, 2150 Bleecker Street, Utica, NY 13501. COOPERSTOWN - Mrs. Naomia C. Bourdon, a former resident of Susquehanna Avenue in Cooperstown, died early Monday morning, July 22, 2013, at the A.O. Fox Memorial Nursing Home in Oneonta. She was 99 years old. Born September 10, 1913, in Waterloo, she was a daughter of George and Catherine (Dorsey) Clapp. After graduating from high school, she was one of the few women accepted to The Cooper Union for the Advancement of Science and Art in Manhattan at that time. It was while she was attending The Cooper Union that she met fellow student, Sigmond A. "Jim" Bourdon; on September 8, 1939, Naomia and Jim were married in a New York City ceremony. Naomia began her career as a librarian in New York City and during the war worked in a patent attorney's office. First settling in Pelham and shortly thereafter moving to Mt. Vernon, five children were raised. When her children matured she moved from a home maker role to that of an arts and crafts teacher in White Plains. In 1976, Naomia and Jim permanently moved to Cooperstown, where they not only enjoyed exploring the village and surrounding areas, but using it as a home base, for travels elsewhere both in North America and to South America, Europe, Africa and Asia. She was a communicant of St. Mary's "Our Lady of the Lake" Roman Catholic Church in Cooperstown. Naomia is survived by her children, James Bourdon and his wife, Stephanie, of Croton-on-Hudson, Frances Bourdon and her husband, Richard Kline, of Yonkers, Katherine Czasonis and her husband, Paul, of Granby, CT, Naomia Ann Bourdon and her husband, Tony Vegliante, of Alexandria, VA and Margaret Sanchez of Pawling; and 8 grandchildren, James, Jesse, Regina, Megan, Alissa, Shana, Christopher and Lillie. She was preceded in death by her husband, Jim, who died April 29, 2005. A Mass of Christian Burial will be offered at 11 a.m. on Friday, July 26, 2013, at St. Mary's "Our Lady of the Lake" Roman Catholic Church in Cooperstown with Fr. John P. Rosson, pastor, officiating. The Service of Committal and Burial will follow in Mount Calvary Cemetery in Emmons. CHRISTIAN HILL - Lynn E. Green, Jr., a lifelong area resident and founder of Green and Green, Attorneys at Law in Cooperstown, died unexpectedly Monday afternoon, July 8, 2013, while playing golf at the Leatherstocking Golf Course in Cooperstown. He was 68. Born May 15, 1945, at A.O. Fox Memorial Hospital in Oneonta, Lynn was the only child of Lynn Edward Green, Sr. and Marion A. De Angelo Green. Raised on the family farm on Christian Hill, Lynn attended Cooperstown Central School and graduated with the Class of 1963. After graduating from Colgate University, he earned his Juris Doctorate from Syracuse University. Upon his return to Cooperstown he was employed at Van Horne, Feury and Gozigian, Esqs. In 1978 he opened his own law firm in partnership with Scott Greene and then with Jack Gibbons on Main Street in Cooperstown. In 2003 Lynn's son, William C. Green, joined his father in the law practice which became Green and Green, Attorneys at Law. 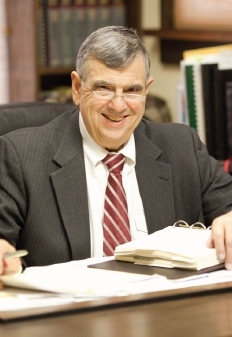 Lynn served as the municipal attorney for communities throughout the region including Hartwick, Cherry Valley, Laurens, New Lisbon and Middlefield, as well as Cooperstown Central School. An active member of his community, he served on the Board of Directors of numerous organizations including, Cornell Cooperative Extension, State Association of Associations (President 2006), Cooperstown Alumni Association (Treasurer 1999 to present), Cooperstown Foundation for Excellence in Education, Inc., and Leatherstocking Chapter of Ducks Unlimited (Treasurer 1993 to present). Lynn enjoyed living on Christian Hill with his wife Judy, where they raised their three children and continued to run the family farm, Orchardside. He raised beef cattle for many years, grew extensive crops, and remained close to the surrounding farming community. He felt a deep connection to this area and was committed to preserving its history. In 2002 he began the process of restoring the 1875 hop kiln built by his great grandfather on the family farm, which at one time was one of the biggest hop farms in the area. Lynn took great pride in the completion of this project in 2004. He loved the land and spent many hours hunting on his property with close friends. Lynn also enjoyed horse racing and went on numerous trips with his wife Judy, to Saratoga Springs and Kentucky to experience the races. Additionally, he enjoyed traveling to California in recent years to visit his two daughters and sons-in-law. Wherever he went he took great interest in the agriculture and land and shared his enthusiasm with family and friends and most recently his grandchildren. Lynn is survived by his wife of 42 years, Judy L. Green of Christian Hill; his mother Marion D. Green of Woodside Hall in Cooperstown; one son and daughter-in-law, William C. Green and Susan E. Strandberg of Hartwick; two daughters and sons-in-law, Amanda L. Green and Paul Marini of Oakland, CA and Jillian A. Green and Christopher Watters of Berkeley, CA; and five grandchildren, Anders, Henrik, Alistair and Ilaria, and the newest member of the family, Nico Marini, who was born July 10, 2013. He was preceded in death by his father, Lynn E. Green, Sr. who died September 22, 1981. The Green Family will receive friends at the Connell, Dow & Deysenroth Funeral Home in Cooperstown from 4-7 p.m. on Friday, July 12, 2013. A Funeral Service will be offered at 11 a.m. on Saturday, July 13, 2013, at the Cooperstown United Methodist Church with the Rev. William H. Delia, pastor, and the Rev. Betsy Jay, Chaplain at Bassett Medical Center in Cooperstown, officiating. Interment will follow in the Green Family Plot in Hartwick Cemetery. As an alternative to flowers, the Green Family would appreciate donations in memory of Lynn to the Cooperstown Foundation for Excellence in Education, Inc., to support enrichment activities for Cooperstown Central School District children, c/o Cooperstown Central School, 39 Linden Avenue, Cooperstown, NY 13326 or The Cooperstown Alumni Association for the benefit of the Scholarship Fund, P.O. Box 1122, Cooperstown, NY 13326. COOPERSTOWN - Robert G. Bailey, formerly of Hyde Park, passed away late Thursday night, July 4, 2013, at Otsego Manor. He was 91 years old. Born June 28, 1922, in Sidney, Maine, Bob was the son of F. Glenn and Effie (Cummings) Bailey. After graduating from high school, Bob attended a carpentry school in Maine. On October 27, 1942, Bob entered into active service in the United States Army and proudly served his country during World War II with the 389th Infantry Regiment. He received his honorable discharge from the military on January 14, 1946. After moving to Cooperstown, Bob met Thelma Doolittle Jarvis and they were married May 31, 1957, in a ceremony at the First Presbyterian Church of Cooperstown. Bob was a gifted carpenter and cabinet maker whose work graced many homes and businesses in Cooperstown and the surrounding area. At one time he also owned and operated a backhoe business. He was a 62-year member of Otsego Lodge No. 138, Free & Accepted Masons in Cooperstown, and was also a long-time and currently Honorary Member of Hartwick Fire Department Co. No. 2 in Hartwick Seminary. Bob is survived by three daughters, Carol Ann Poitras and her husband, Alfred, of Manchester, Maine, Ginny Elliott and her husband, Don, of Milford and Linda Carson and Don Brooks of Ilion; four grandchildren, Mrs. Deborah Ann Javitz and her husband, John, Donald Walter Elliott and his wife, Janet, Dennis Robert Elliott and his wife, Wendy and Christine Marie Poitras; three great grandchildren, Jessica, Blake and Emily Elliott; one cousin, Joe Bailey and his wife, Lucy; one niece, Martha Osgood and her husband, Pete; one nephew, Nate Rand and his wife,Debby; and an aunt and best friend, Marge Gallup. He was predeceased by his wife Thelma who died August 13, 2007, and his sister Rebecca Rand. A Memorial Service will be offered at 11 AM on Wednesday, July 10, 2013, in The Chapel at Otsego Manor in Cooperstown with the Rev. Elsie Armstrong Rhodes, pastor of the First Presbyterian Church of Cooperstown, officiating. A Service of Committal and Burial, with military honors to be accorded by members of the Cooperstown Veterans Club, will follow in Hartwick Seminary Cemetery. In lieu of flowers, please consider a memorial gift to Catskill Area Hospice and Palliative Care, 1 Birchwood Drive, Oneonta, NY 13820 or to the Otsego Manor Activities Fund for the benefit of the Country Meadows Neighborhood, 128 Phoenix Mills Cross Road, Cooperstown, NY 13326.